An Act to prohibit the opening of large shops on Christmas Day and to restrict the loading or unloading of goods at such shops on Christmas Day. 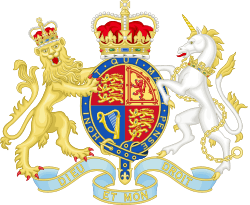 The Christmas Day (Trading) Act 2004 (c 26) is an Act of the Parliament of the United Kingdom. It prevents shops over 280 m²/3,000 sq ft from opening on Christmas Day in England and Wales. Shops smaller than the limit are not affected. The Act was introduced to the House of Commons by Kevan Jones, MP for North Durham as a Private Member's Bill on 7 January 2004. The aim of the Act was to keep Christmas Day a "special" day, whereby all major retailers would be closed. Although it was traditional for major retailers to close on 25 December, some retailers, such as Woolworths, began to open some stores in the late 1990s. Both religious groups and shop worker unions were against the idea of Christmas openings, leading to pressure on the Government to pass legislation to prevent the practice. The Christmas Day (Trading) Act 2004, as amended from the National Archives. The Christmas Day (Trading) Act 2004, as originally enacted from the National Archives. Explanatory notes to the Christmas Day (Trading) Act 2004.